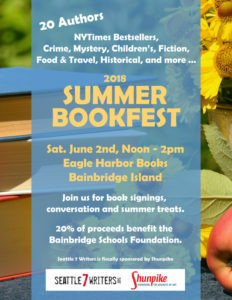 For the fourth year, Eagle Harbor Books on Bainbridge Island and Seattle7Writers will host Summer Bookfest, a literary festival that brings together Pacific NW authors and readers, and raises money for literary causes. 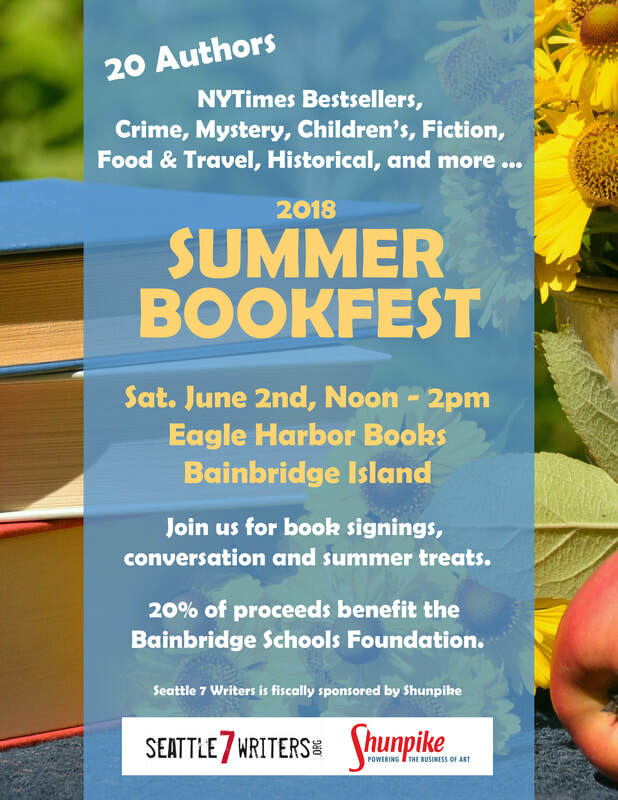 Elizabeth George will be on hand to sign her newest novel, “The Punishment She Deserves,” a masterful work of suspense with her beloved detectives Havers and Lynley. Plus, she will sign “Write Away: One Writer’s Approach to the Novel,” her book on writing. 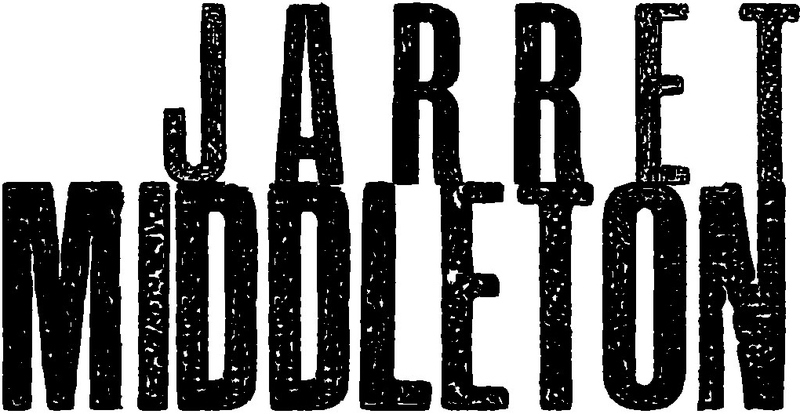 20% of proceeds benefit the Bainbridge Schools Foundation.